Hyundai has been building out its vehicle line-up with new nameplates from eye-catching redesigns of existing products since 2010 to new premium & refined designs. Now that it fields an entry in most major vehicle segments, with the exception of a pickup, but currently Hyundai is turning its attention to upscale, like with the All-New Genesis or Sonata, its models rather than adding nameplates. The second-generation Genesis launched on Nov. 2013, Hyundai’s flagship luxury sedan comes with South Korean’s brand most advanced technologies, reborn through relentless performance tests and thorough quality management. Hyundai increased its production few months ago due to its success into the South Korean local market and the great reception into the US-market as well. The updated Sonata LF mid-sized sedan got new sheet metal, new interior and ride and handling improvements for its 2015-model re-engineering (you can take a look to our review here). The All-New Sonata was also well received in South Korea (with an all time pre-order sales record and monthy sales record too) and US-market. The Tucson mid-sized SUV and Elantra compact cars new generations will be the next models to come during next year and will get an updated exterior & interior such as Hyundai’s latest design way, with the hexagonal front grille and more premium design following Fluidic Sculpture 2.0, plus other technology, safety and NVH improvements. The rumormill said that Hyundai is planning to add a rear-wheel-drive sports-sedan. But any of that is confirmed yet, the car is still under development (codename RK). Accent: Hyundai’s subcompact will get a re-engineering model during 2016. Azera: The full-sized sedan was redesigned in 2012. The next major change, either a redesign or a re-engineering, probably won’t happen before 2017. During this year the Grandeur (so it’s called in South Korea) received a light facelift plus a diesel and Hybrid variants. A freshening may arrive to the US-market as a 2015 Model Year. 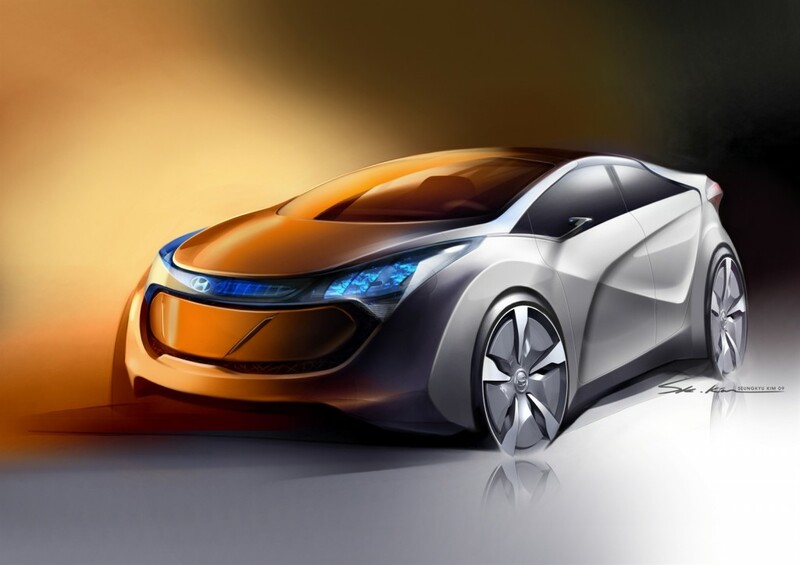 Elantra: The compact car, Hyundai’s current top-seller, with a new sheet metal will arrive during late 2015. With a new Fluidic Sculpture 2.0 design, the Elantra will be turned into a more premium design, with high quality interior, new infotainment systems and latest Hyundai technologies for safety. Probably powertrain will be updated too. 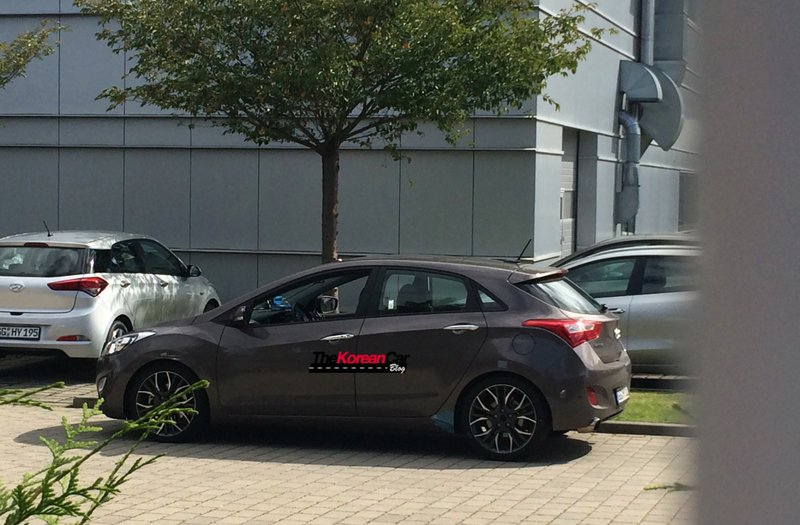 i30: The european i30 hatchback will receive a mid-life facelift during 2014 and will come with first time Hyundai “N” performance variant with a 1.6 Turbo GDi engine delivering 200 hp. i40: The european i40 saloon and crossover wagon will receive too a refreshed model during 2014 including Hyundai’s hexagonal front grille and rear combination LED rear lamps. Engines will be revised as well. Equus: The $60,000-plus luxury car gets a substantial freshening for the 2016 model year, re-engineered and with new sheet metal, including a redesigned instrument panel and center stack, along with a new front fascia and grille design and other updates. Genesis: A R-spec Genesis Sedan is expected to have a place on Hyundai’s portfolio. 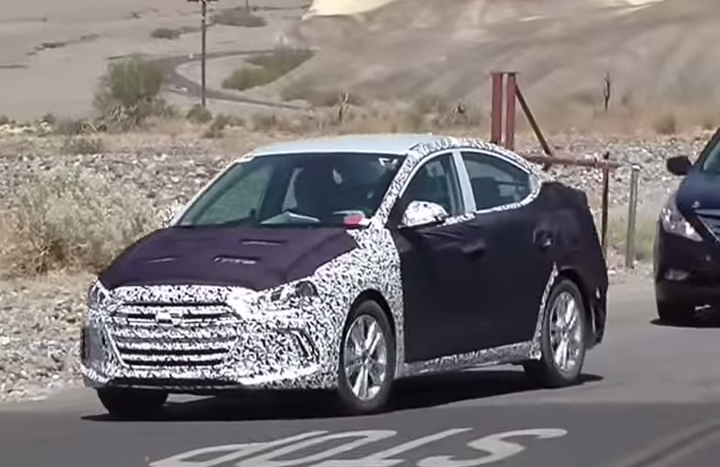 Any details confirmed yet, but we spotted some Genesis test mule with some camouflage during hot weather tests (click here to view). 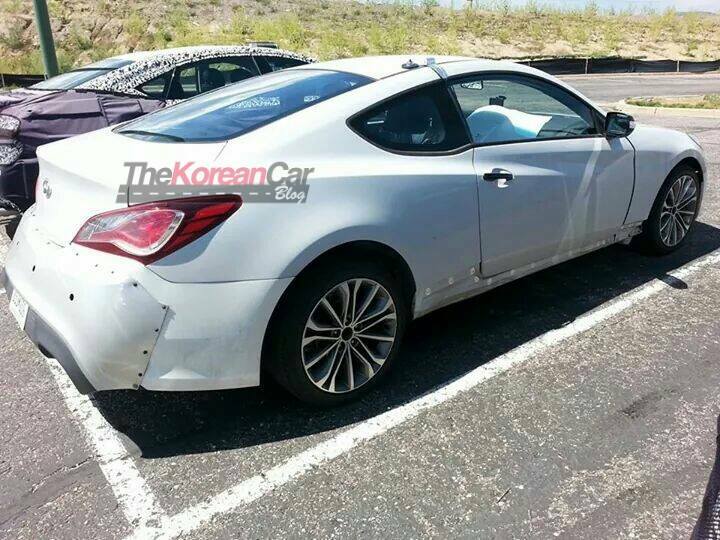 Genesis Coupe: Roughly a year after the Genesis sedan’s debut, a re-engineered Genesis Coupe will arrive with new design following the Fluidic Sculpture 2.0 design way in the second half of 2015. Like the sedan, the re-engineered coupe’s platform will be reworked substantially for an improved, and turned into more luxurious ride than the current coupe’s stiffer, more sport-tuned setup. Looking at the latest modification on the 2014 Genesis Coupe (Hyundai removed the 2.0 Turbo), the new Genesis Coupe is expected to come with a V6-family engines plus a V8 for the most powerful variant, like the Genesis sedan. 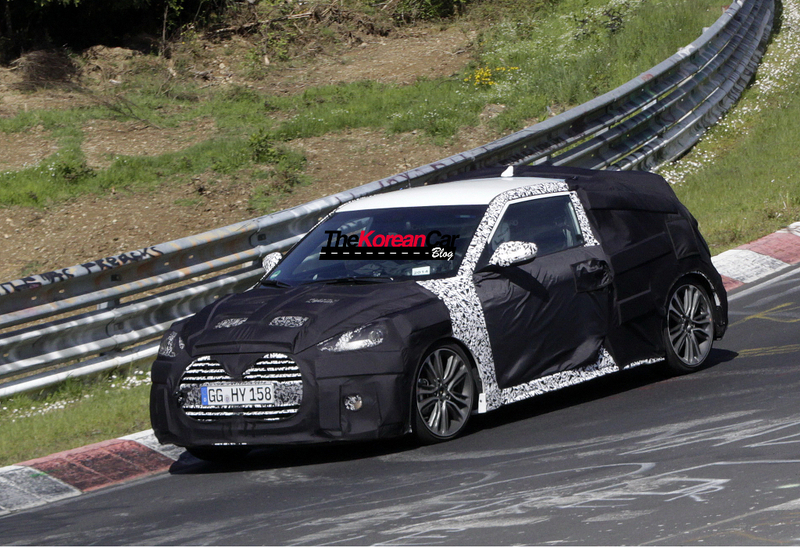 The car was spotted testing as a test mule with the old body, click here to view more. Sonata: The seventh generation of Hyundai’s mid-sized sedan was launched few months ago with a completely new premium design following Fluidic Sculpture 2.0 and a high quality Genesis-inspired new interior. The Sonata will receive light retouches in 2017. Sonata Hybrid: The hybrid version of the re-engineered Sonata will arrive in the first half of 2015. Later in 2016, Hyundai will launch a Plug-In Hybrid variant of the Sonata. Veloster: According to the latest reports, Hyundai is preparing a light facelift to be available this year until 2016, when the model could receive a new generation or be killed. 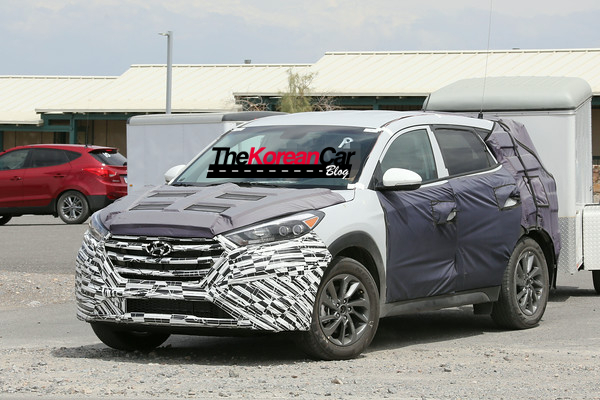 Santa Fe: Hyundai’s family crossover lineup was redesigned for the 2013 model year and no major updates are planned for at least four years. A refreshed Santa Fe could arrive in late 2015, and a new generation will debut in 2018. Small CUV (B-segment): After Hyundai released the ix25 for chinese and indian markets only, a Small B-segment CUV could arrive later than Hyundai executives want, they will need to wait until the far 2018. Scooped: European-only Kia Venga To Receive a Facelift.